We hope you are enjoying watching the program. If you have missed any episodes you can go to www.3abnaustralia.org.au/tv/series/dwk to view the past 3 episodes. 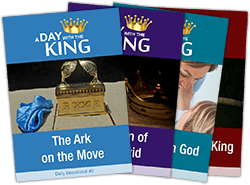 We encourage you to download the daily devotionals and read them with your family. We know you will be blessed.